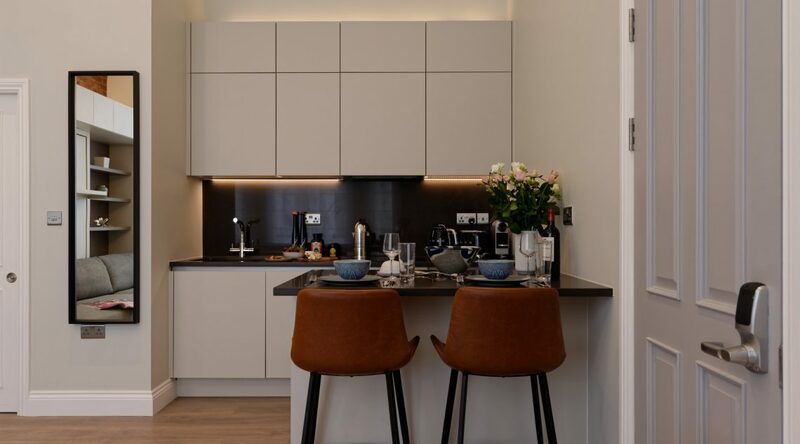 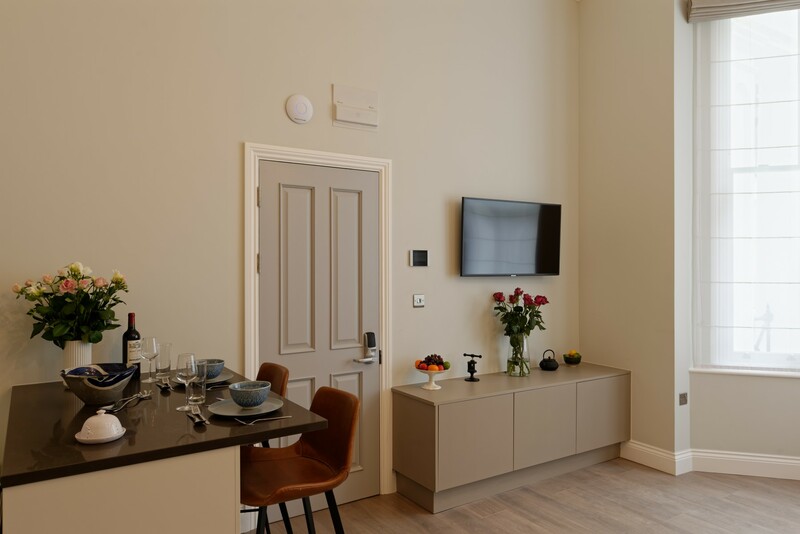 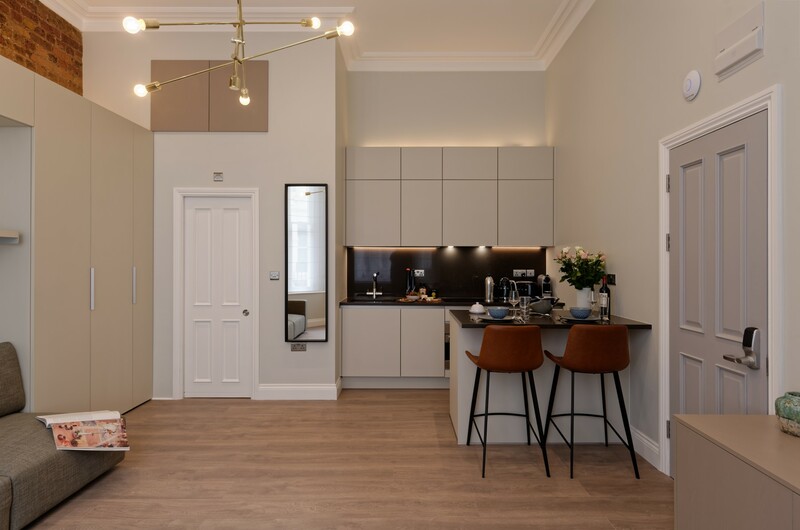 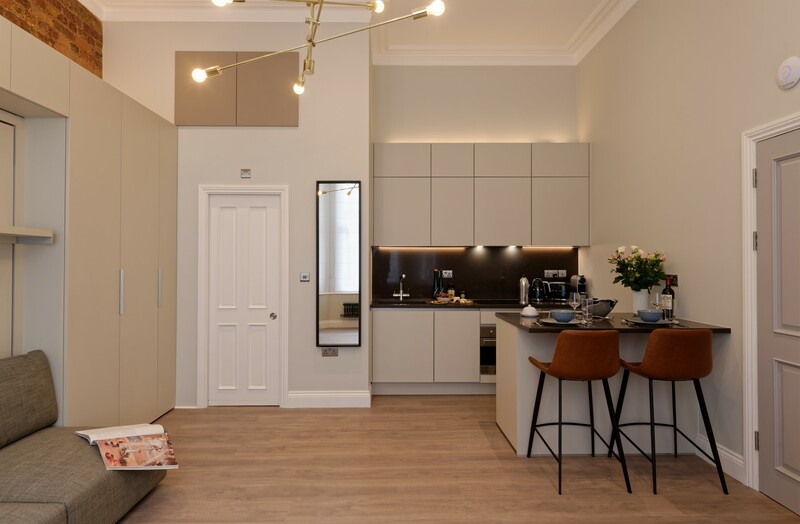 Apartment EG37-1 - Notting Hill Apartments Ltd. 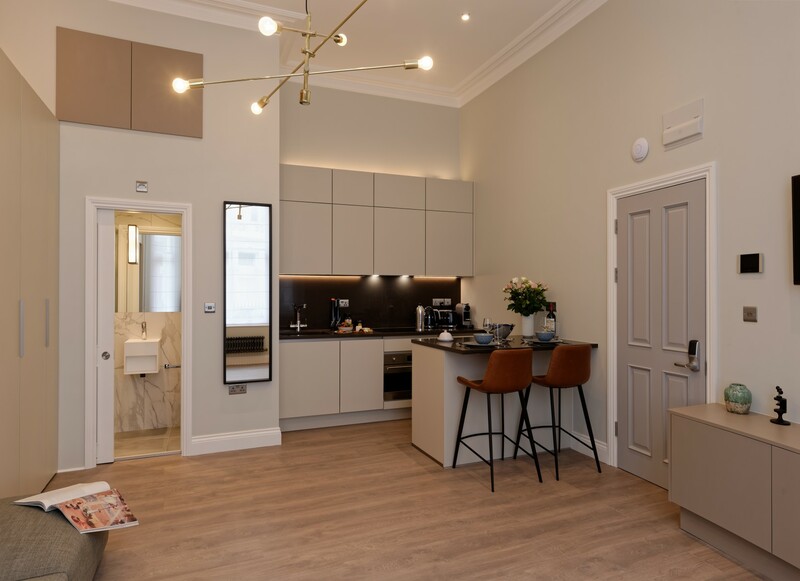 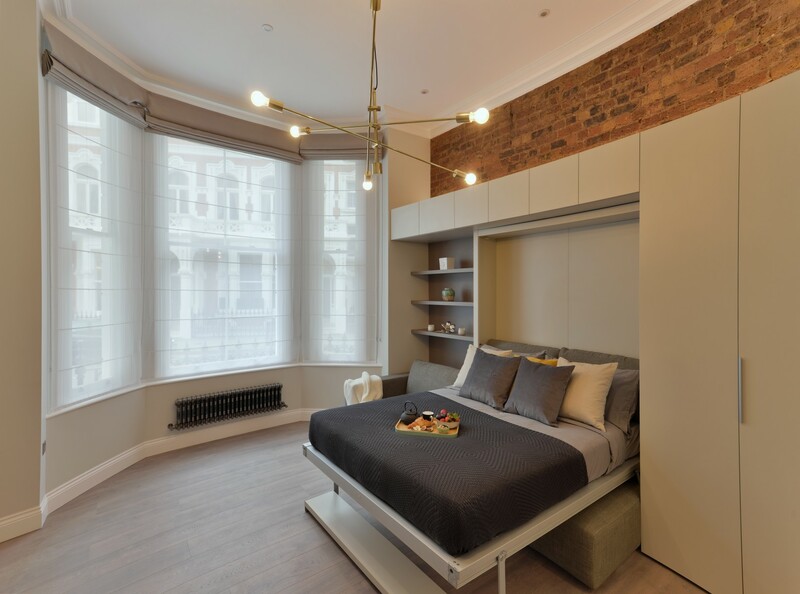 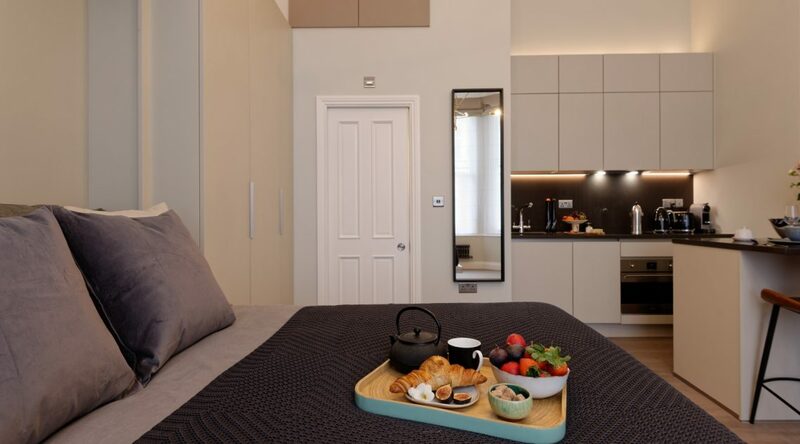 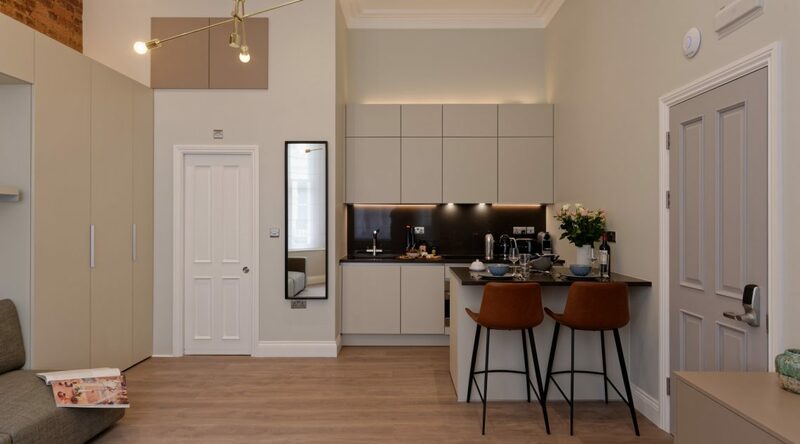 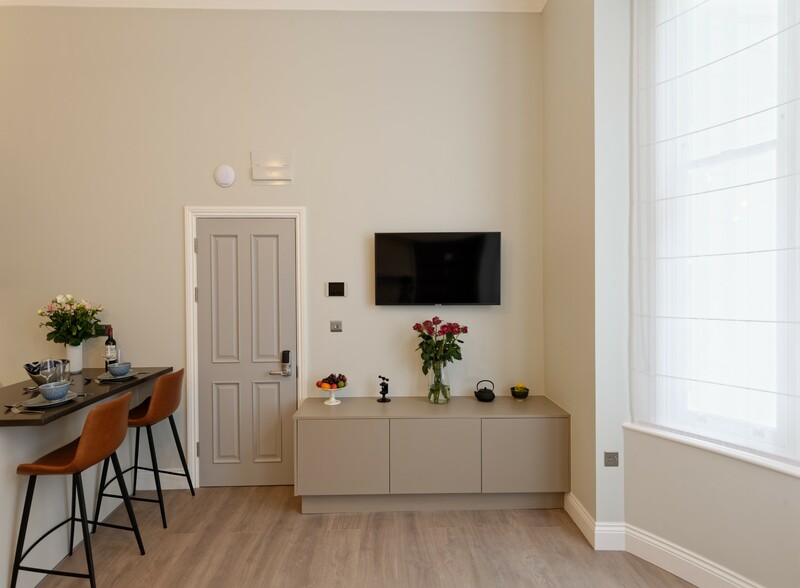 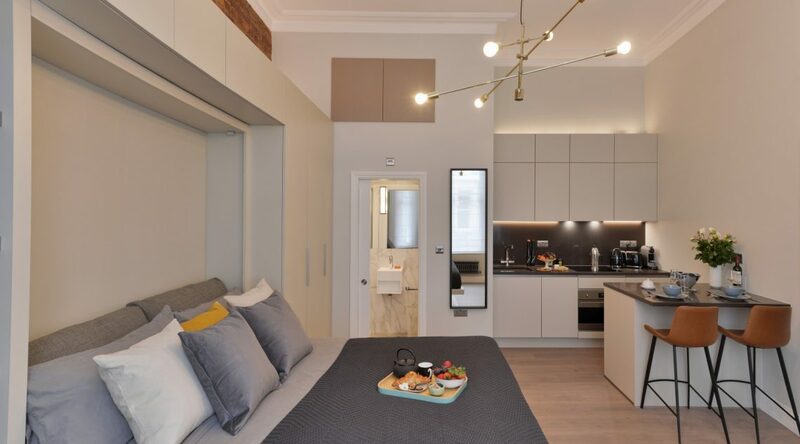 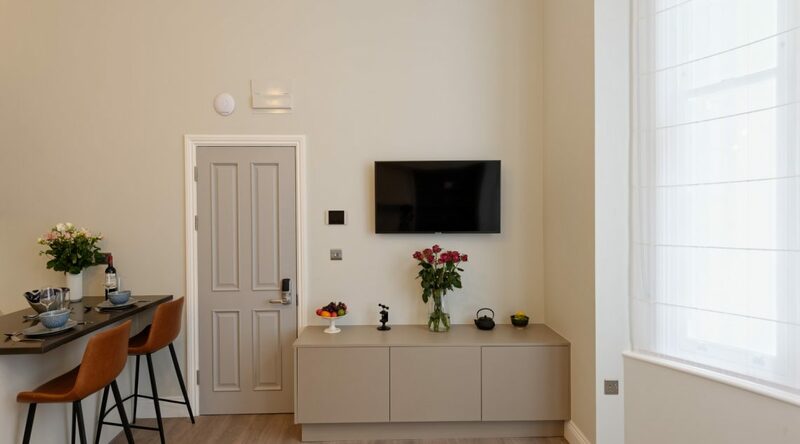 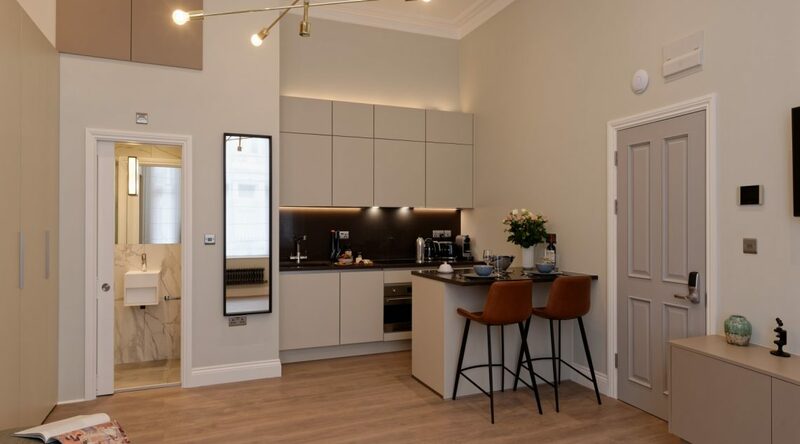 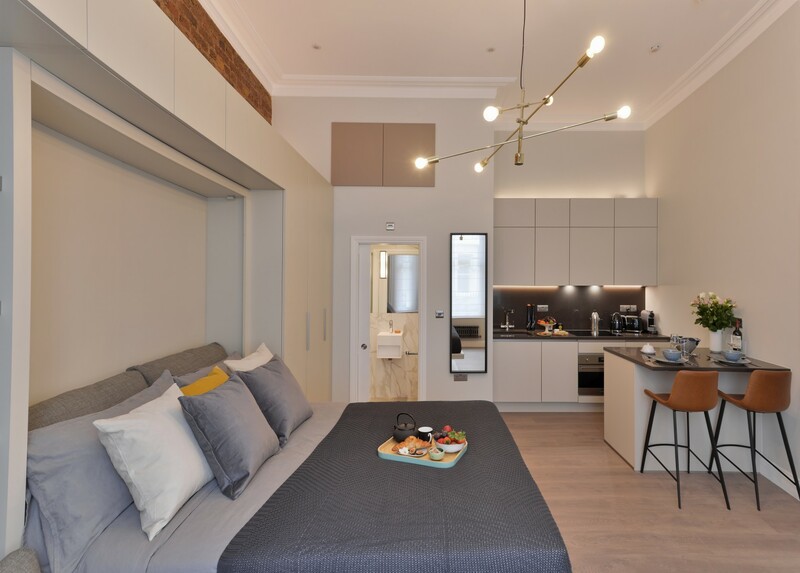 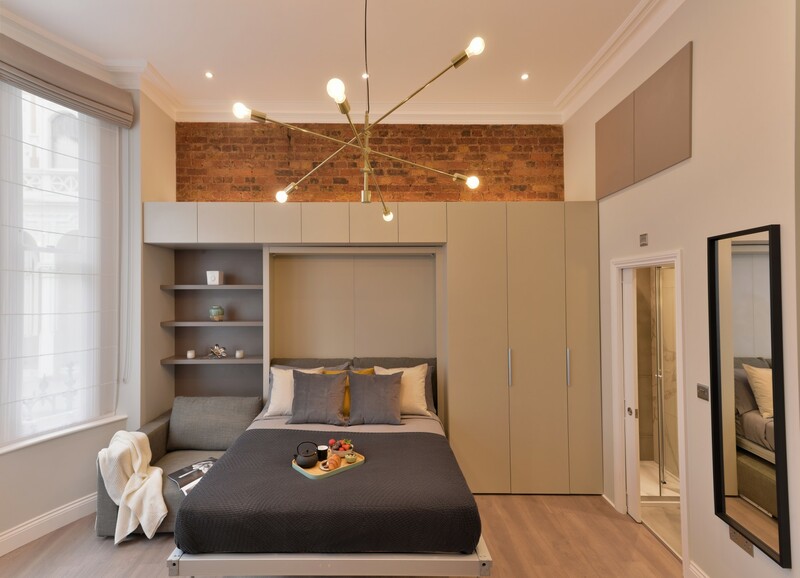 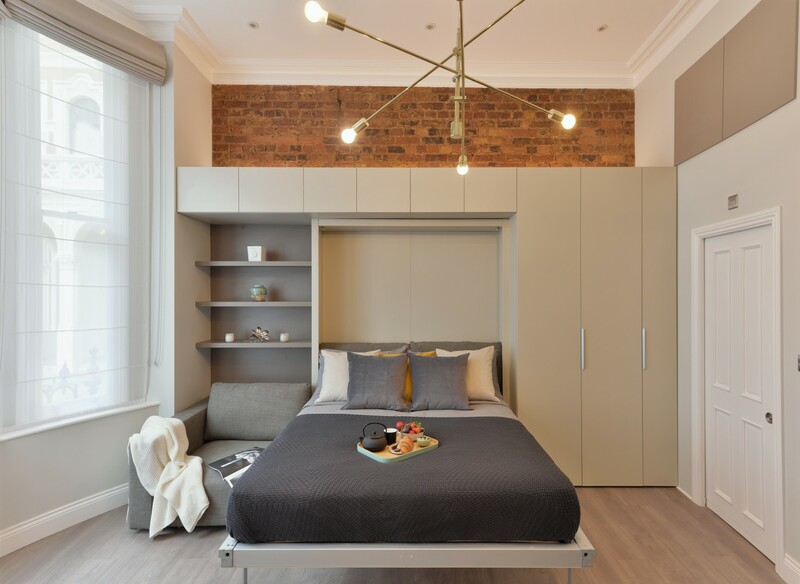 This stunning studio apartment was recently refurbished by our interior designer. 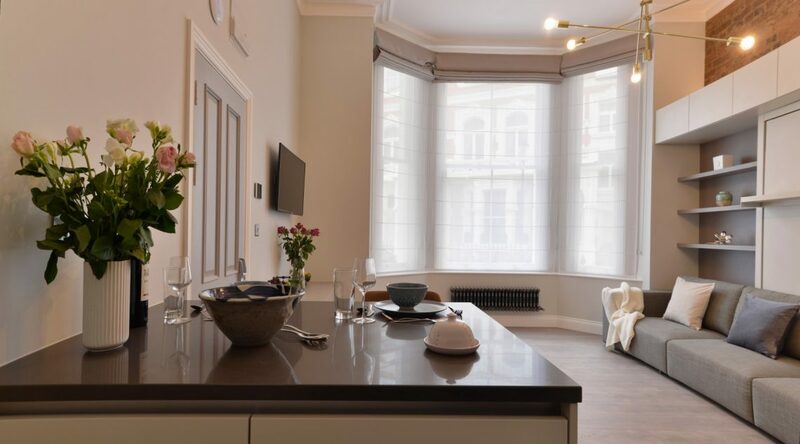 The flat sits in a grand Victorian building in a quiet tree lined street in the upmarket area of South Kensington. 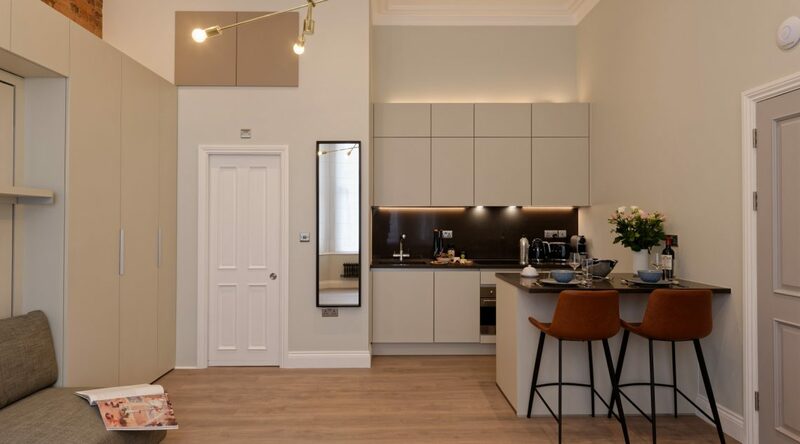 This amazing studio is unusually spacious, with tall ceilings and an enormous bay window which lets the light flood in and provides a nice view of the Victorian terrace below. 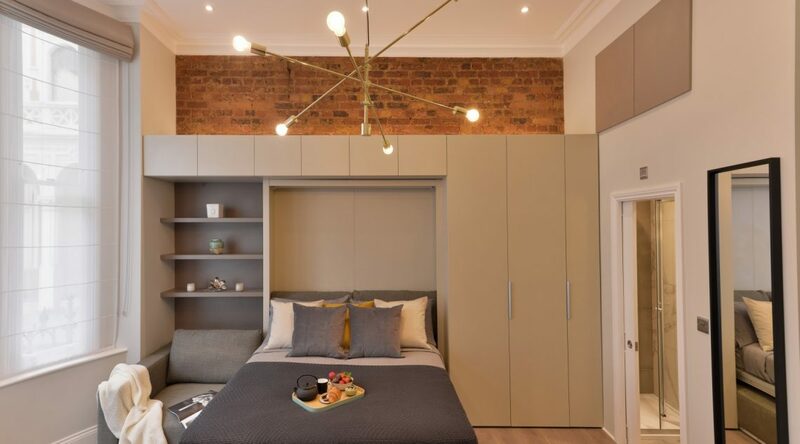 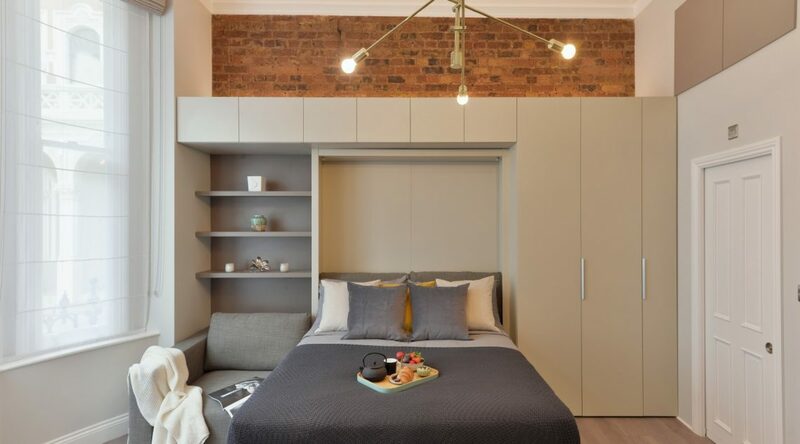 The exposed brickwork, bespoke joinery and contemporary lighting give the space a welcoming, modern feel. 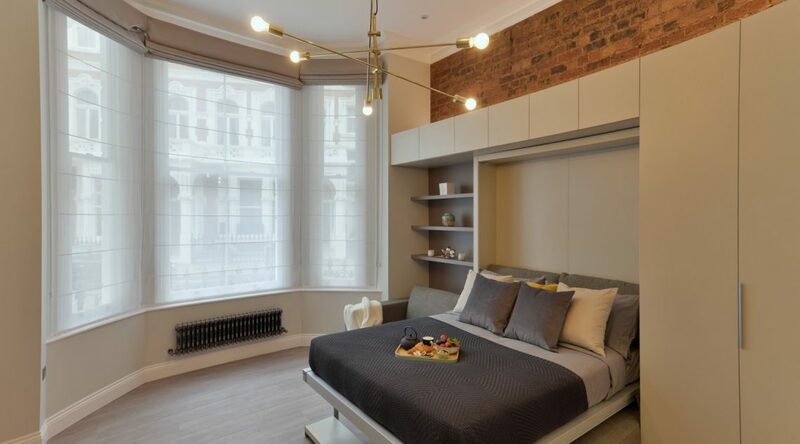 The large, comfortable sofa is part of the Clei bed system and effortlessly converts into a comfortable double bed. 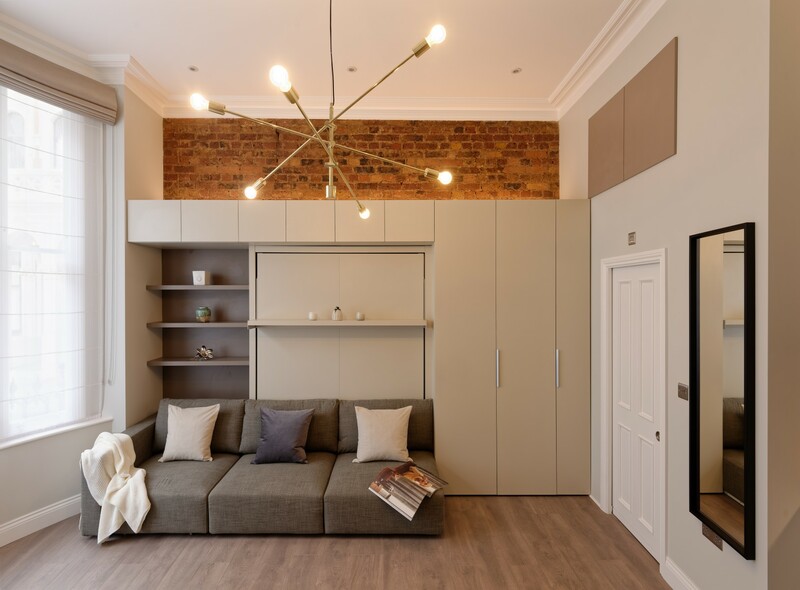 Watch your favourite series on the large smart TV from the sofa or while snuggling in bed. 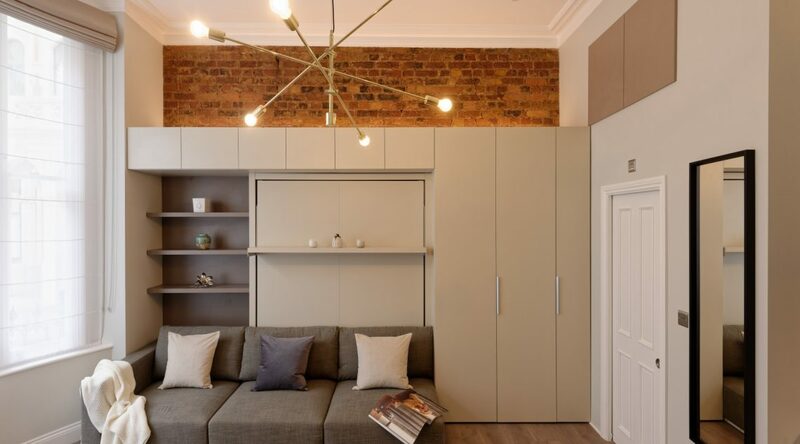 The flat benefits from ample storage and wardrobe space in the various custom made cupboards. 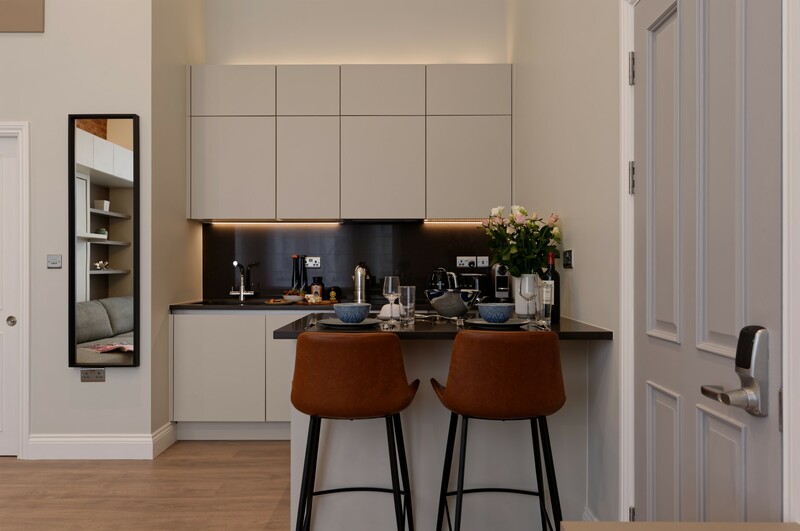 The contemporary kitchen offers all the tools, pots and plates you need, whether for a quick snack or for entertaining guests. The oven, hob and fridge freeze are all newly installed, assuring you of trouble free renting. 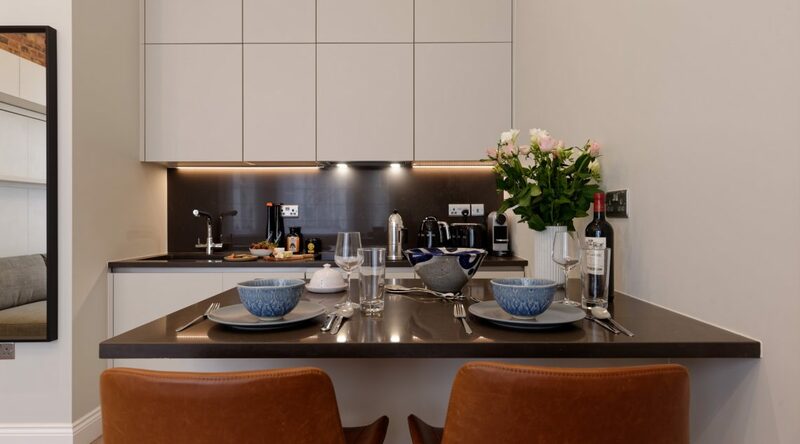 The kitchen also benefits from a stone topped breakfast bar with comfortable, modern stools. 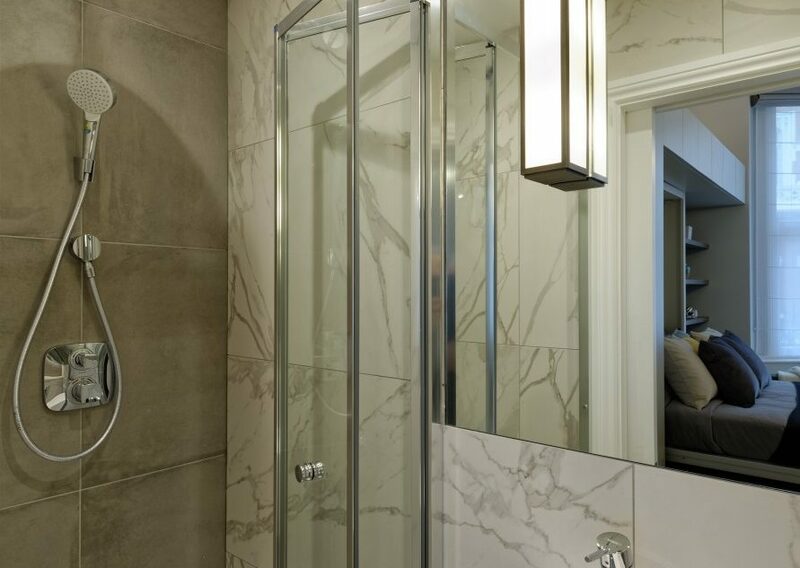 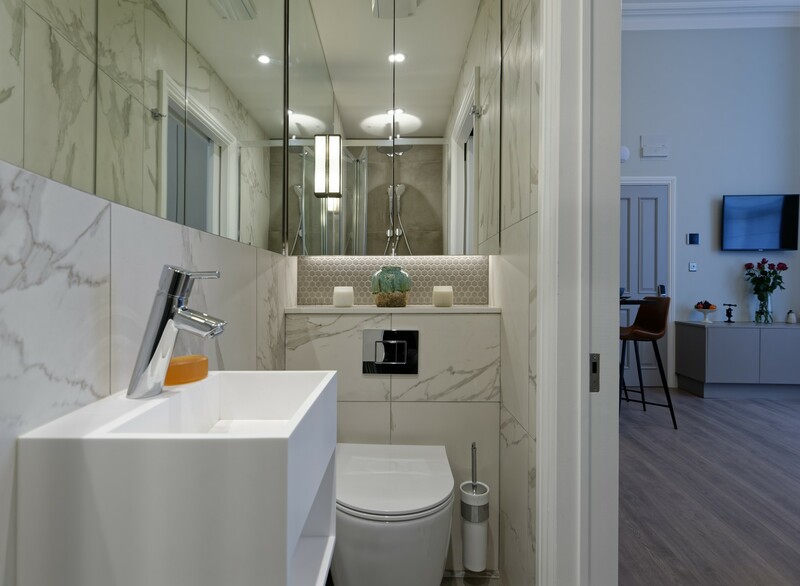 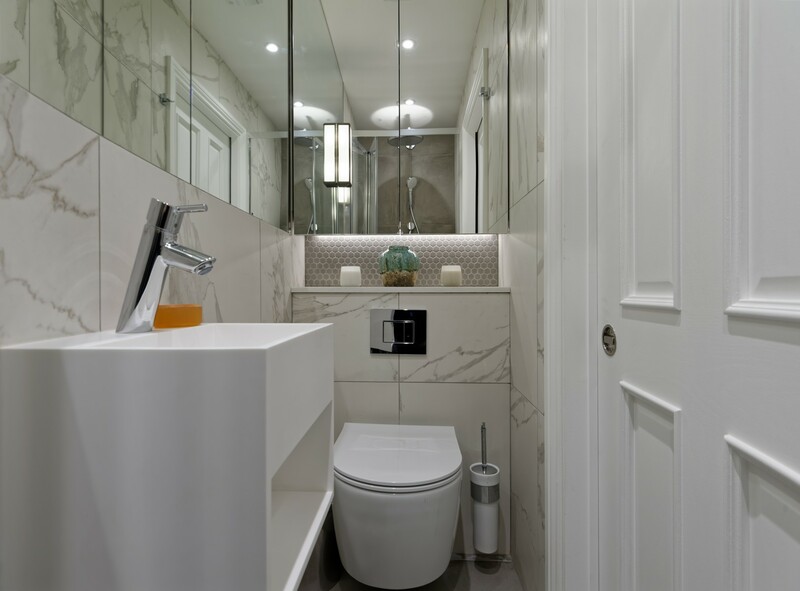 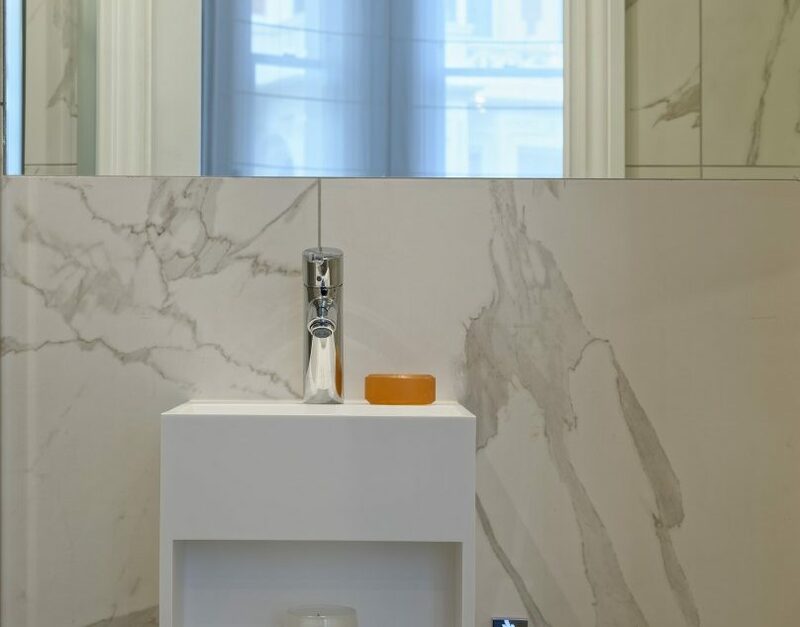 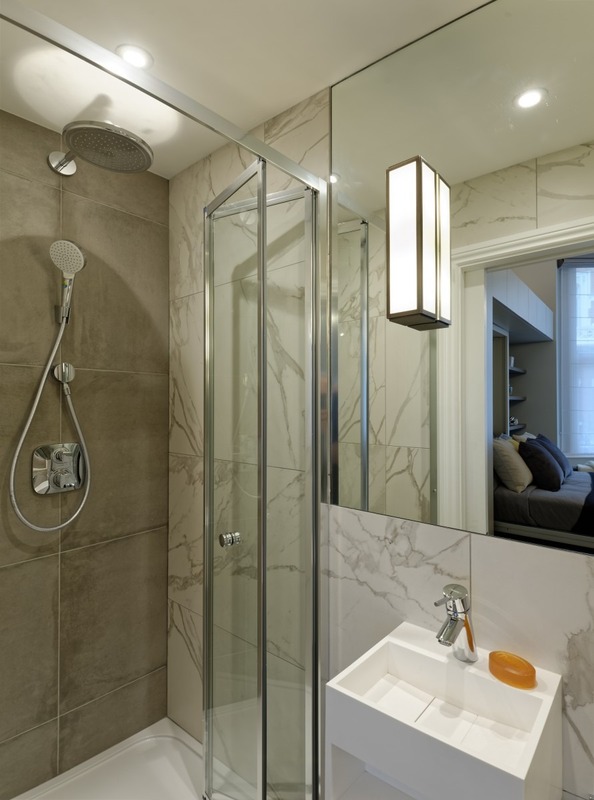 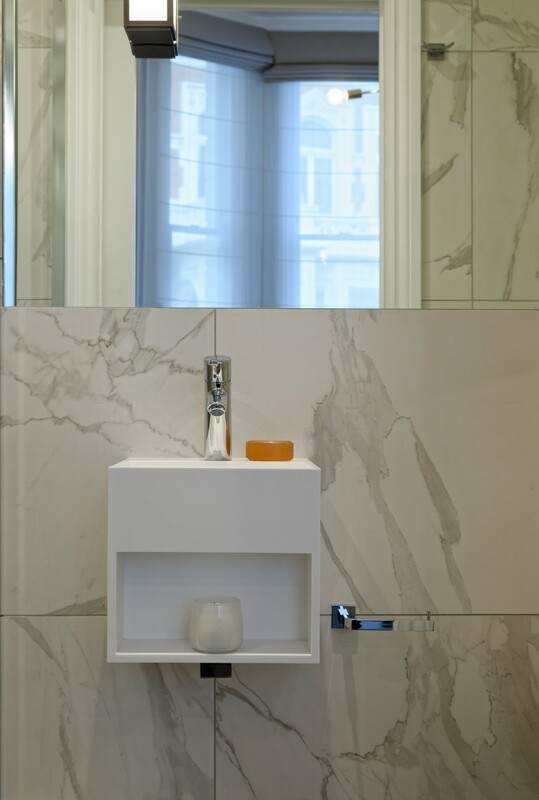 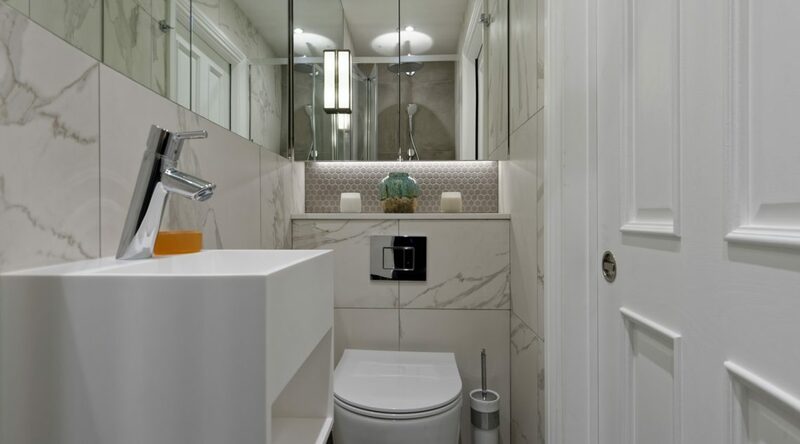 The newly refurbished, modern bathroom has a generous walk in power shower with separate hand shower and benefits from underfloor heating for warm feet in the British winter. 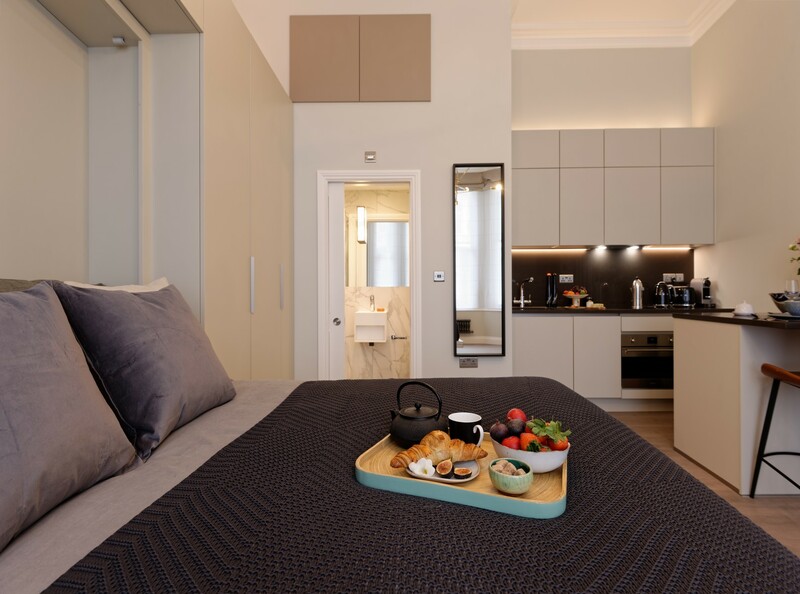 Our apartments are fully serviced and the weekly rent includes all utility bills (electricity, gas and water), TV and free WiFi. 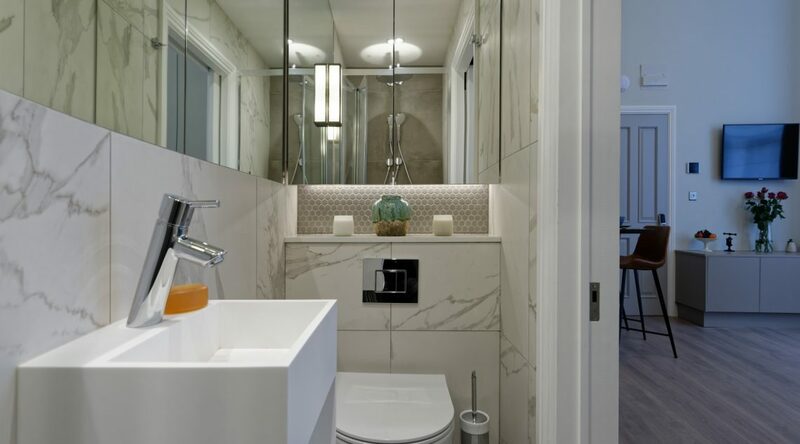 A weekly cleaning service can be arranged by separate agreement. 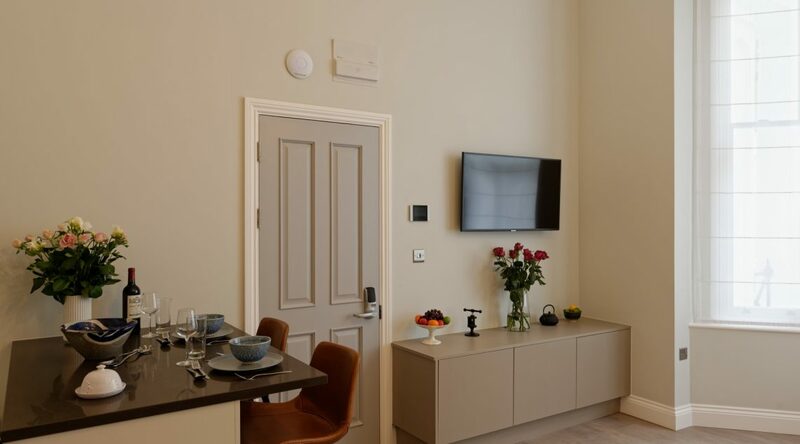 The building has CCTV security and an entry phone system in the apartment. 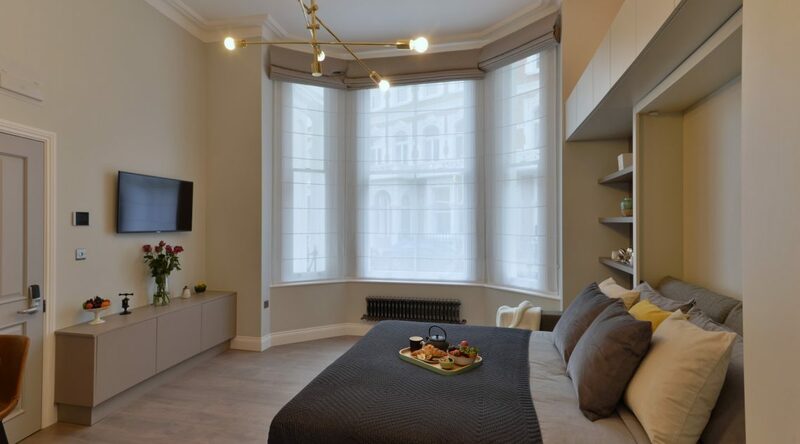 The Royal Borough of Kensington and Chelsea is a prime London location and an upscale neighbourhood. 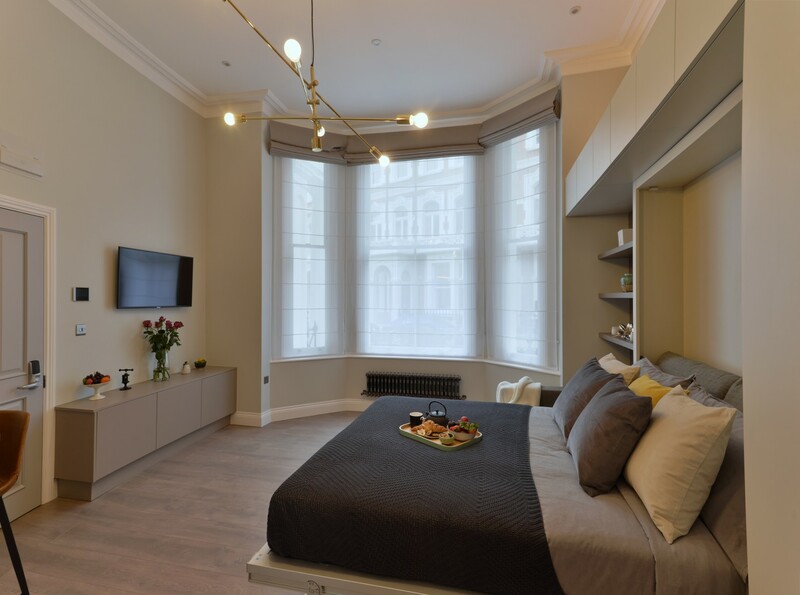 Royal homes and parks, major museums and Knightsbridge and Harrods within walking distance make this a destination for Londoners and tourists. 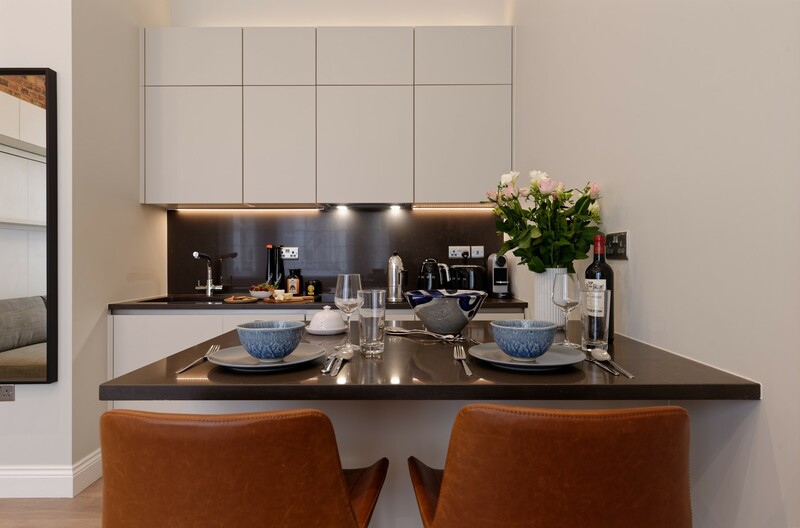 The area offers a wonderful choice of stores, restaurants and delis and while Harrods and Harvey Nichols are close by, there are plenty of lower cost options in the area. 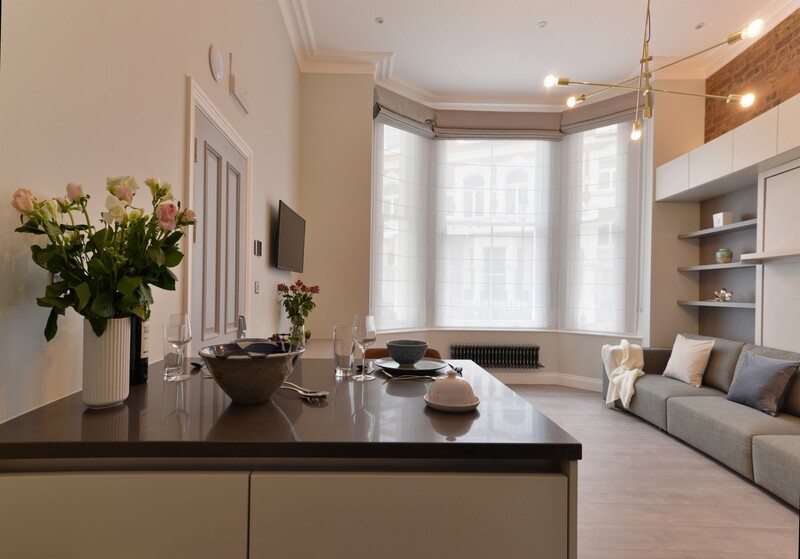 Transport links are exceptional and with Gloucester Road Tube station only 400m away and a range of bus routes to choose from, you can be anywhere in London in no time.